Frank Lucas Net Worth - Is He Richer Than Hollywood Stars? Frank Lucas Net Worth – How Much Is The Notorious Drug Lord Worth? Frank Lucas was born in a not so wealthy family; they used to live in North Carolina. He was like a normal teenager until he was 12, and then he had to witness the murder of one of his cousins. He later confessed that this moment was a big reason that he chose a career in drug and crimes. Frank Lucas net worth was built because of his life in crimes. He stared doing small crimes around his neighborhood as a teenager. Things were going as he wanted; people were started feeling scared around him. But this did not last for long and he got into a big fight with one of his employers and his mother asked him to run away and hide in NYC. There were reports that in NYC he started working under Bumpy Johnson, he became one of his most trusted associates and his reliable driver, but later Frank Lucas confessed that Johnson’s family betrayed him. Frank Lucas net worth $52 million was not possible if he at an early stage of his crime career did not realize that he has to stop the dominance of Italian mafia in New York smuggling scene. He decided to start his own chain of smuggling the heroines and later he confessed that they even smuggled the drugs inside a dead shoulder’s coffin. His group was made of his close family and friends, he never trusted any outsiders with his work. Franc Lucas was arrested many times; he was sentenced to jail but came out only after spending couple of years. It was weird to think that someone who was such a big threat to the police never had to spend more than 7 years in Jail. 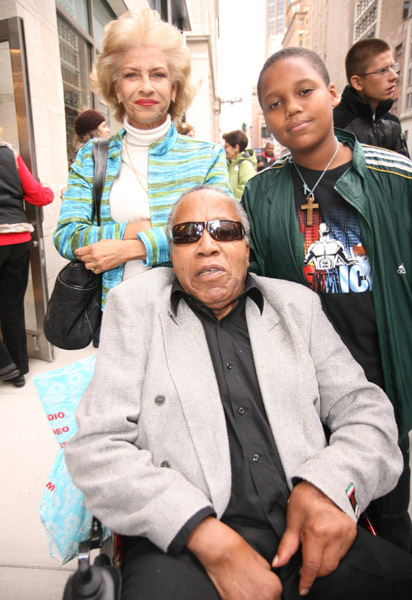 Frank Lucas also enjoyed married life, he was married Julianna Farrait-Rodriguez and have 3 children with her. But they divorce after the couple of years and in 2012 his ex-wife also got arrested because she was planning to sell the cocaine. When the American Gangster was released many critics slammed the producers and people in Hollywood for wanting to make crime look glamorous. This movie was one of the high profile Gangster movies ever made. Denzel Washington starred as Franc Lucas, and it was directed by Ridley Scott. Other stars like Russell Crowe, Josh Brolin also starred in the movie, it made a lot of money which proved American people’s interests about knowing the lives of infamous drug Lords. There are lots of people who believe that making these kinds of movies are completely unnecessary, it makes people think that they can become famous doing illegal works like drug smuggling. Frank Lucas net worth may be more than $50 million, but he is no American hero like Bo Jackson or Bruce Springsteen, people do not worship him, they are afraid of people like him. His story also shows the need for a good upbringing, if his cousin was not murdered in front of him them he might have had a better life. He may not be known or rich like this, but he would have been a good American citizen. No matter how much money one earns there is no glamor in committing crimes.